Do you want to take a survey to see if you or your child has an addition to internet gaming? In Screenagers we follow a college kid named Andrew who drops out of college because he is addicted to playing video games. His addiction to video games takes over and he games until the middle of the night and stops doing his school work. 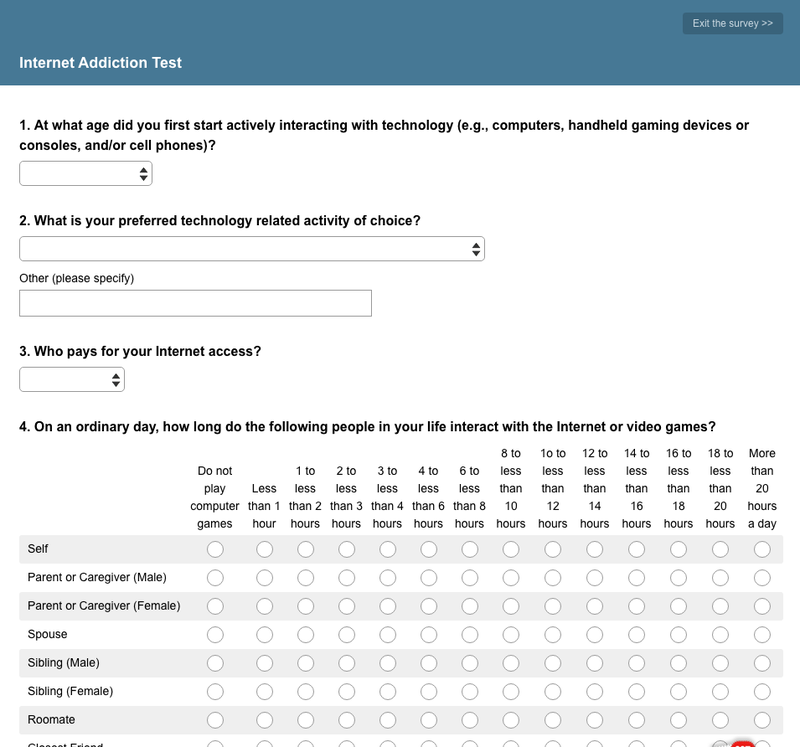 His mom takes this survey below and realizes that Andrew is addicted to video games. Andrew's family ends up putting him in an internet rehab center to recover. Here is the survey that Andrew's mom took from Restart Addiction Recovery Program.